Every year these public officials commit tax fraud. Every year. The Assessor Office in Grant Township has for decades conspired with other local officials and association officers to commit tax fraud. Officers within the Wooster Lake Conservation and Control Association, Eastshore Improvement Association of Wooster Lake, Tanneron Bay, Holiday Park, and the Wooster Lake Improvement Association are amongst the plunderers. The Wooster Lake Improvement Association had board members at one time, one of which included Bonnie Thomson Carter, now-lame duck Lake County Board Member in District 5, Grant Township. Google her name and you'll see some of her affiliations with these associations. 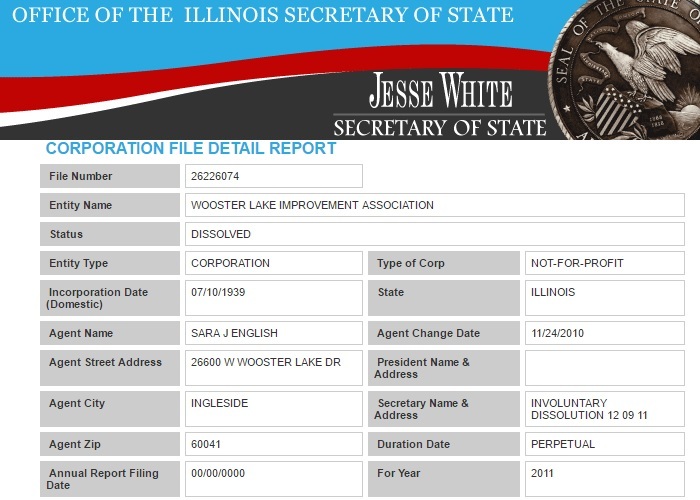 All the associations and developments around Wooster Lake should be investigated and where evidence of fraud exists, OFFICERS OF THESE ORGANIZATIONS NEED TO BE PROSECUTED. That part of the county is controlled by the GOP...Grand Ol Perpetrators. It is the most classic example of the good ol boy systems. While everyone screams about their property taxes, no one can hear them because you can't hear screams from heads buried in the sand. Lawless western Lake County. Must be nice to be GOP political scum protected by a GOP State's Attorney.